Nitrous Oxide Chargers (cream chargers). Choose your brand, all are standard size and will fit standard whipped cream dispensers. Package of 100. Our best selling item is 96 Nitrous Oxide Chargers for whipping cream. These cream chargers are being held at these low prices for as long as possible. So get the best whip possible with Cheeky Monkey cream chargers. These are 100 of the very best quality cream chargers and only contain pure nitrous oxide gas. The quality is assured and they are produced for the catering industry in a modern factory. We also sell budget chargers (Liss) but recommend these because of the superior quality. There is no chemical reside, only pure gas and every 8gm cylinder is completely filled with two litres of pressurized gas. Cheeky Monkey Cream Chargers serves both the catering industry and the general public and offers the same great low prices and quality service to everyone. All orders placed before 4.00pm will be dispatched immediately which means if you order Monday-Thursday then you’ll get your purchase the following day – or if you order on a Friday then you can select Saturday delivery for a small surcharge. These chargers are used with a whipped cream dispenser (sold separately) to simply and efficiently make light and fluffy dessert cream. If you already own a dispenser then these chargers will work with all standard fitting 8gm dispensers – except for those manufactured by Kisag. The double-size 16gm chargers are generally only need in cafes or where large quantities of cream are required. All of the chargers and dispensers sold at Cheeky Monkey Cream Chargers are compatible and interchangeable – just be sure to select 8gm or 16gm. The process of whipping the cream is simply a matter of combining the gas (Nitrous Oxide) with the liquid under pressure and then allowing the gas to expand as it is released from the pressure vessel and dispensed. Charge with N2O gas – do this by placing one of the disposable charger cylinders into the holder and crewing down tight, you will hear a slight hissing sound as the cylinder perforates and the gas is released into the dispenser. As soon as the gas has been released, then the cream is ready to use – simply point the nozzle where you want it and pull the trigger to release the cream. Nitrous Oxide Chargers x 100 - best whip for whipped cream supplies, very best whip-whippy cream whippers. The whippiest in the world - ever! 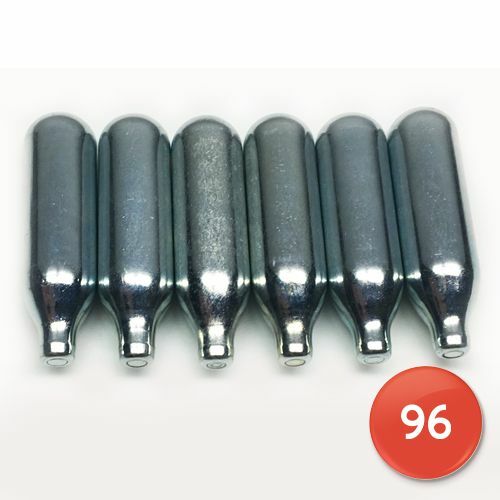 Our Nitrous Oxide chargers can be dispatched forthwith at wholesale prices. NB: This product cannot be sold to minors (under 18) and we will not supply those that intend to misuse this product. This cake can be prepared very fast and it is the perfect treat for the summer time. Are you looking for a birthday cake and you do not have the time or energy to make something fancy in the shape of Thomas the tank engine – but don’t want to go to the shop to simple buy an off the peg design. The simple recipe works well with whipped cream and the pairing of summer fruit such as raspberries with cream is as old as time. It is worth noting that when you use cream chargers to make whipped cream, then the foam will not last as long as cream prepared in the traditional way. This is due to the fact that the cream is much lighter and contains twice as many bubbles of gas – however the downside of using cream chargers is that the foam can flop – so we recommend that you only top this cake when it is being served – although the cake itself can be prepared in advance. Mix together the flour and the baking powder and let the mixture rest for a couple of minutes. Add the water, the vanilla extract, ¾ of the sugar and the oil. Whip the whole composition at a moderate speed, for around 5 minutes. The mixture should have a light color. At medium speed, whip the egg whites and add ¼ of the sugar. Continue to whip for 2 minutes. Add progressively the mixture into the bowl with the other cake ingredients and whip again until everything is smooth. Prepare the cake pans by fixing a cake parchment. Pour the composition and cook it for around 30 minutes. After the cakes are removed from the oven, put them in a cool corner for 20 minutes. The preparation of the berries is very fast, as all you need to do is to combine all the required ingredients and let them mix down for around 15 minutes before you use it for the composition of the cake. The mascarpone and the cream need to be mixed together for maximum 3 minutes. Immediately after the preparation is done, the composition should be covered and refrigerated for at least 30 minutes. You should add the cream, the sugar and the vanilla in the shaker and whip it for around 3 minutes. The mixture should be kept in the refrigerator for at least 60 minutes. Then bring it out to use immediately before using the dispenser and charger directly onto the cake. 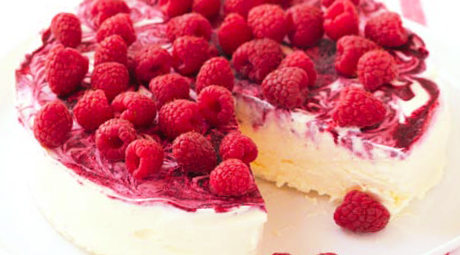 A match made by God himself - summer raspberries with whipped cream - the mascaspone cheese adds a bit of a mdern twist without over-complicating this recipe. After the cake is ready, you can cut horizontally the composition in two separate parts. Brush the raspberry composition and thereafter the mascarpone filling. Feel free to make various creative compositions and models with your raspberries. Instead of berries you can also use strawberries, following the following steps in the composition. Spread the frosting on the top and on the sides of the cake. Place the cake in the refrigerator for around 20 minutes before serving the cake to your guests. It can work very well with a cup of champagne, but also with a good white wine. If your guests have children, a fresh lemonade is what you need for an unforgettable memory of your tastes. The eggs should be kept at room temperature. Unfortunately you cannot pass the mascarpone with the whipped cream chargers because it is too thick to pass out of the dispenser’s nozzle. Before you prepare the frosting, it is important that the bowl was kept for a while in a cold place as it can guarantee a successful whipped cream. The frosting can be prepared even the night before as it can be used without problems for at least one day after preparation, if kept in the refrigerator. Awesome cream chargers - and brilliant service from the Cheeky monkey. I needed them the next day and that is exactly what they did. I know that some people get fixated on brands Liss, Bestwhip etc - but as far as I'm concerned when it comes down to nitrous oxide chargers then it is far more important what sort of service you get from your online shop than the actual brand, after all - it is just a gas!